Which Colour Correcting Concealer Do I Need? Home Skincare Advice Which Colour Correcting Concealer Do I Need? If you’ve ever spent any time near a beauty counter or make-up concession, you’ll know that there are all different types of products for making your skin look great, from primers to foundations to BB creams to concealers. 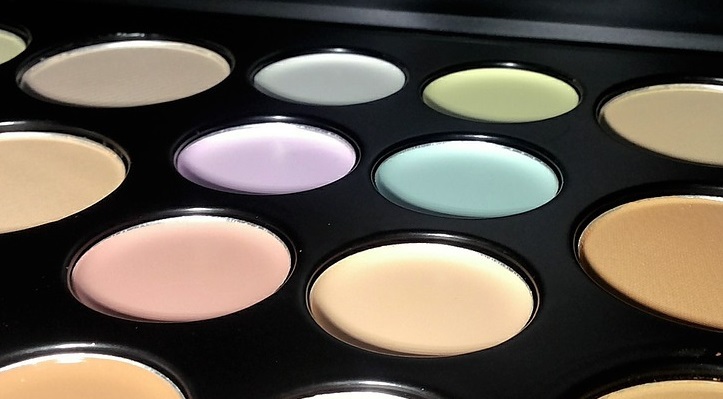 You may also have noticed that there are a whole range of colour correcting concealers, designed to deal with issues on your face, but what are they for and which shade of colour correction do you need? Yellow concealer is best at covering blemishes which are purple in colour, so things like dark purple bruises, veins, and under eye circles. Yellow can be great if you also have dark birthmarks as it will tone down the purple hue and make your skin look more even underneath your chosen foundation. Pink concealer is usually used on very pale toned skin where you have dark circles and visible veins beneath your skin, as it’s good for combating blue and green tones. Use a pink concealer before your foundation if you feel like you skin needs a little livening up. Orange is usually reserved for those of us with darker skin and will help to colour-correct dark circles and areas of hyperpigmentation. As orange is such a warm, vibrant colour, you should avoid it if you know you have cool-toned skin as it can look a little clownish! Green is opposite the colour wheel from red, so it’s perfect for hiding any redness on your face, like pimples and acne scars. If you have rosacea, a colour correcting green primer will help hide unwanted redness and give you an even base for applying foundation. Blue is the opposite of orange on the colour wheel and as such can counteract and neutralise orange tones in the skin caused by self-tanners. And it goes without saying that if you spent too much time in the sun and got a bad tan, you can still use blue concealer to reduce its appearance. Purple is intended to counteract overly yellow tones in the skin, so if you’ve got areas which look yellowish and leave you looking sallow, purple concealer is the way to go. It can also help to hide a fading bruise.